Journalists have a right to national shield laws to protect the confidentiality of their sources of information. The current state-based shield laws are inadequate to meet current threats to press freedom. 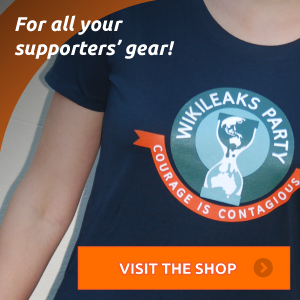 If the WikiLeaks Party is elected to the Senate at the forthcoming federal election it will move immediately to introduce a national shield law. Government agencies, at Federal, State and local level are increasingly gaining powers to obtain information about individual citizens. We rely on journalists working in the media to have unhindered access to their sources so as to expose what is corrupt, wasteful and incompetent in our society. Uniform shield laws legislated by Federal Parliament are the answer. That is what we stand for and that is what we will fight for if elected. Effective national shield laws go hand-in-hand with uniform whistle-blower laws, particularly covering media disclosures. 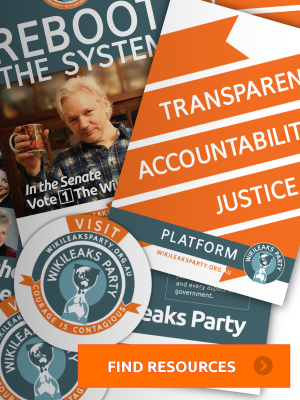 The WikiLeaks Party does not support current Federal whistle-blower law unconditionally because it fails to protect whistle-blowers if they reveal corruption or misdeeds by federal parliamentarians or if they involve exposing misconduct by the secret intelligence services. This is not only unsatisfactory, it is a clumsy attempt by the major parties to protect themselves from embarrassing scrutiny. Once again, the WikiLeaks Party in the Senate would amend the current proposed laws to ensure no individual or agency is exempt from scrutiny.